Number 76 is the property with the J R Blanche sign above it on the left of the modern photo above. The premises is merged with number 74 and forms one large independent, Sri Lankan owned ‘Happy Shopper’ supermarket. 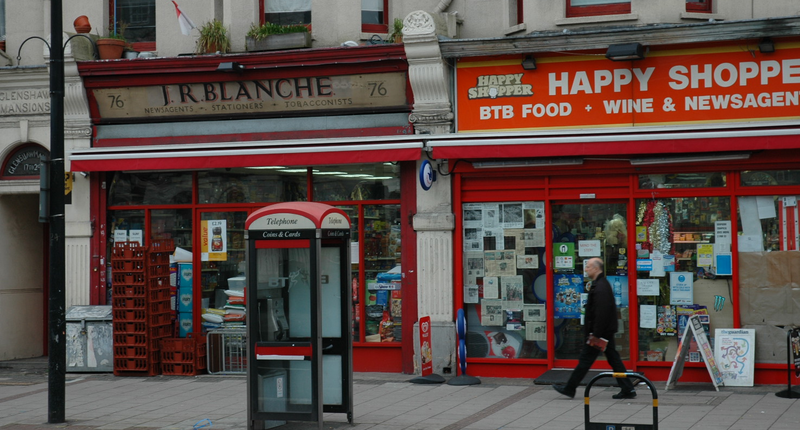 The sign that is currently showing is clearly rather old, how old is hard to tell, there is no sign of a J R Blanche in Kelly’s Directories 1903 to 1928 however the shop was a newsagent for this entire period.